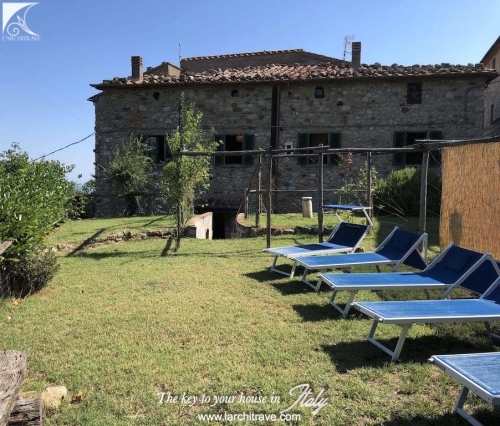 This spacious portion of a period farmhouse in a typical Tuscan village, on the hills, with panoramic views, laying on two floors, has a private garden and terrace shaded by a pergola. 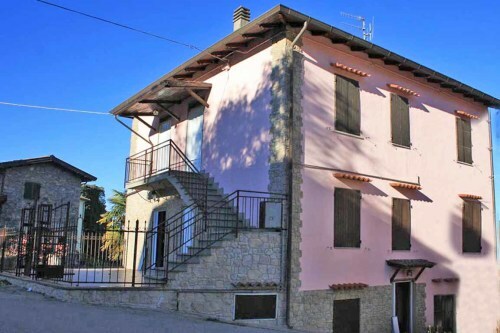 The fully renovated house consists of a living area with fireplace and kitchenette on the ground floor and a large bedroom and a bathroom on the first floor. 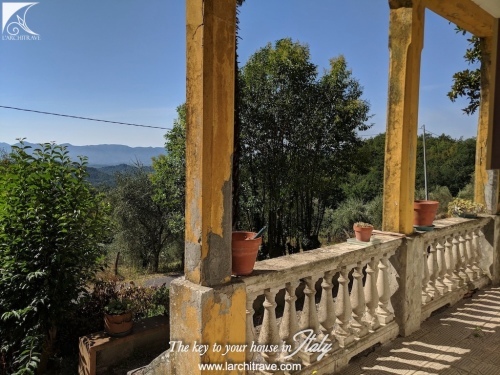 Cozy and warm atmosphere, absolute tranquillity, sunny location, this is the ideal house to spend a holiday and enjoy the beautiful views and the wonderful colors and delicious aromas of the Tuscan countryside. 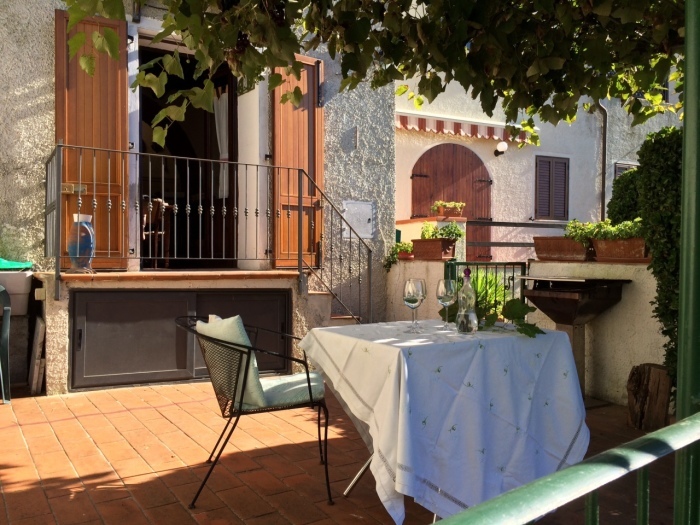 The terrace is the main living area in the open air: an exclusive place to relax, read or enjoy dinner in the moonlight on warm summer evenings. 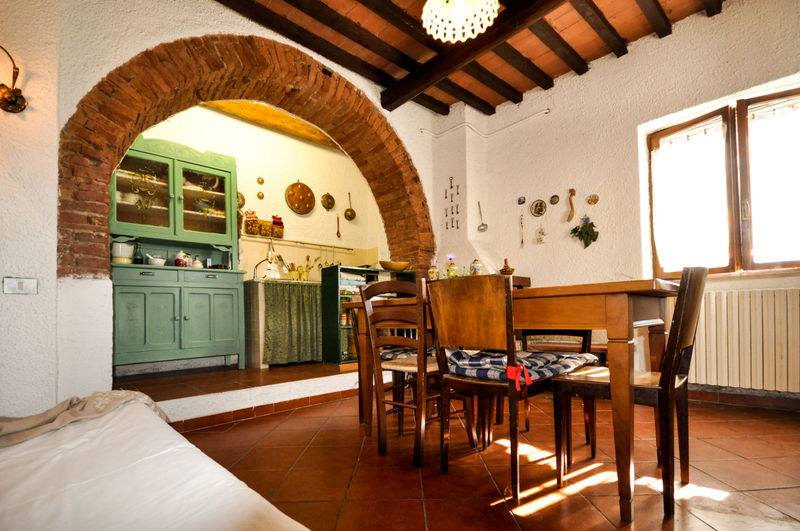 The house is in excellent condition, it has been restored in keeping with the original features, the ceilings have exposed beams and terracotta tiles, a brick arch divides the living room from the kitchenette. 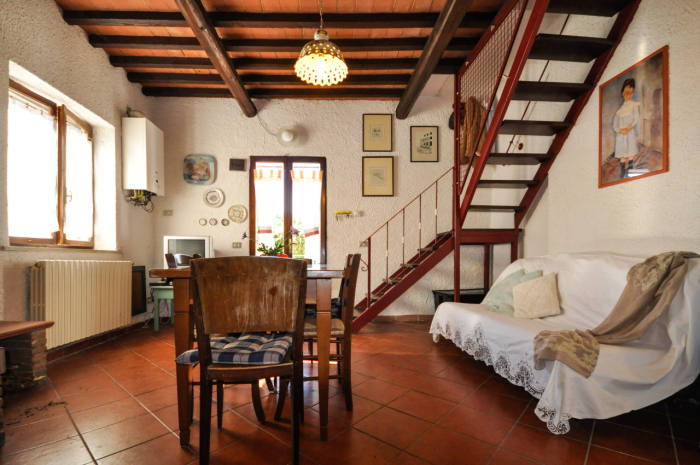 Terracotta floors, windows with shutters and mosquito nets, central mains gas heating. 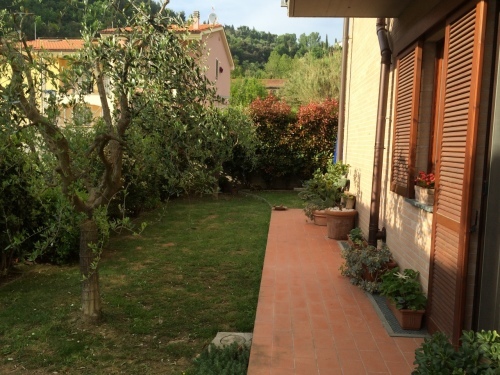 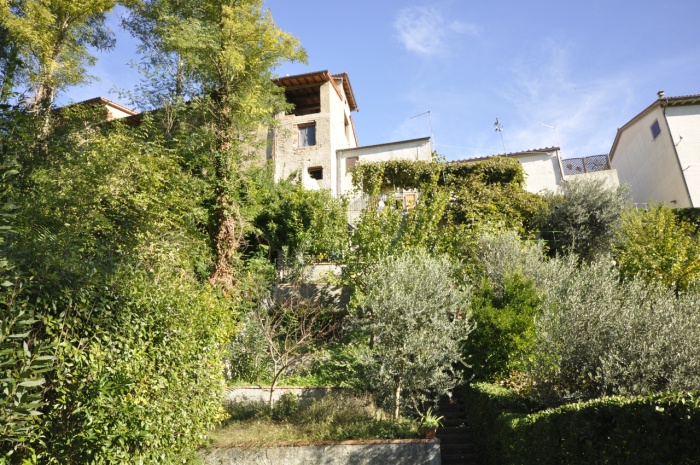 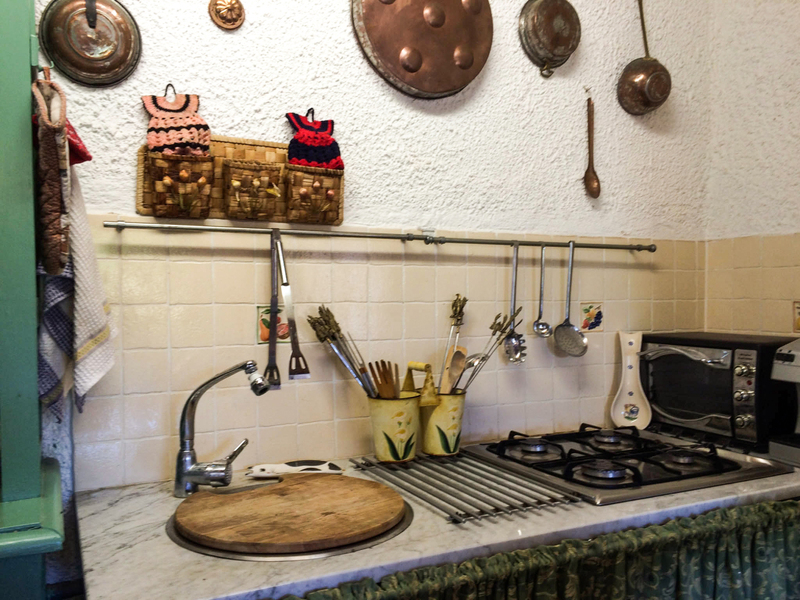 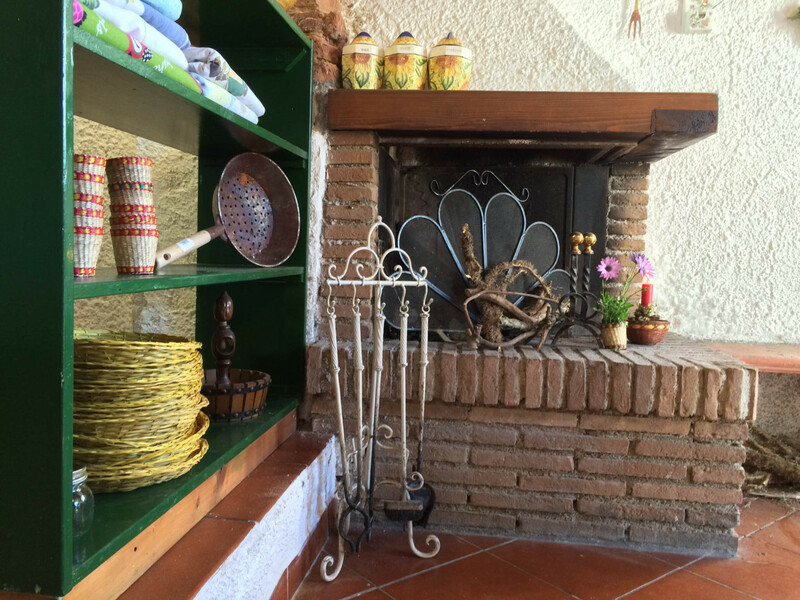 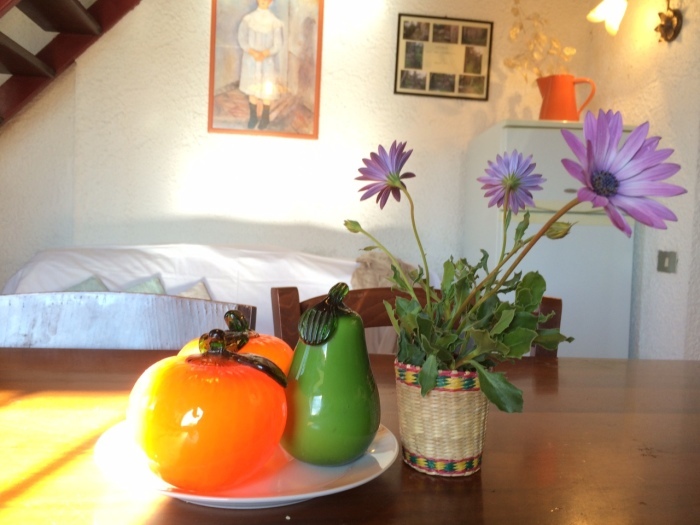 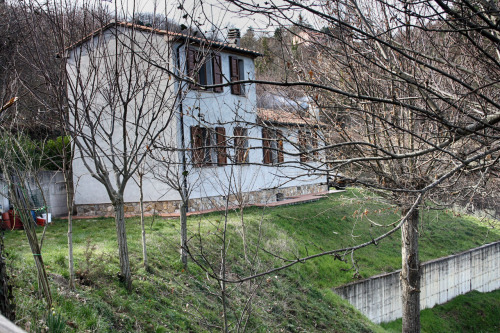 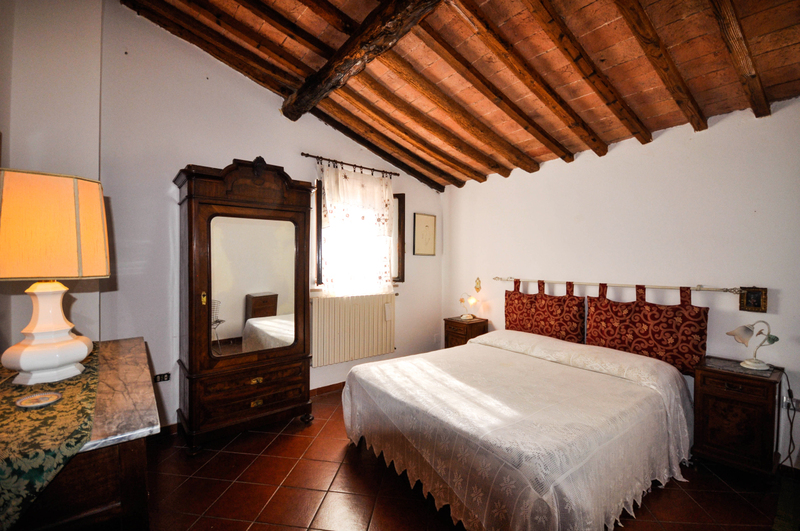 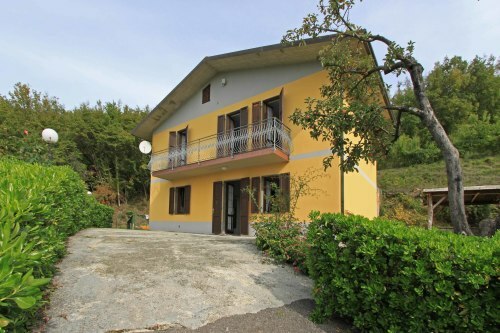 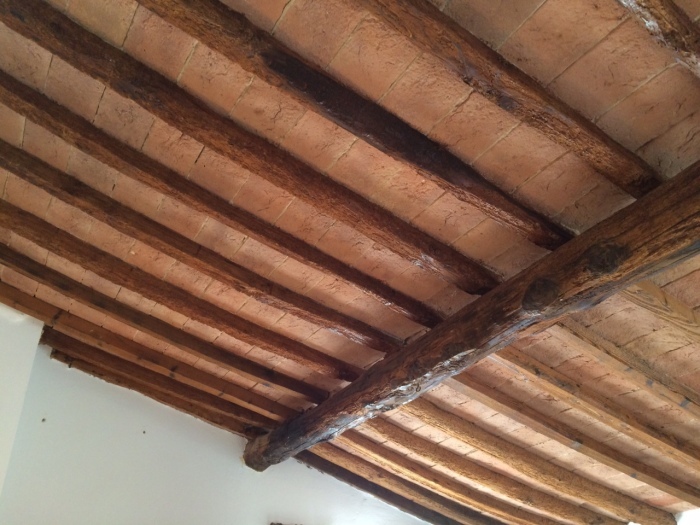 Casa La Pergola is located in a small village composed of a group of houses where there is a community of people mainly dedicated to agriculture. 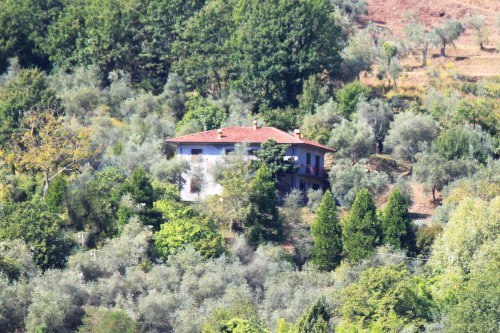 Vineyards, olive trees and cultivated fields on the hills and down in the valleys: this is the picture of the area. 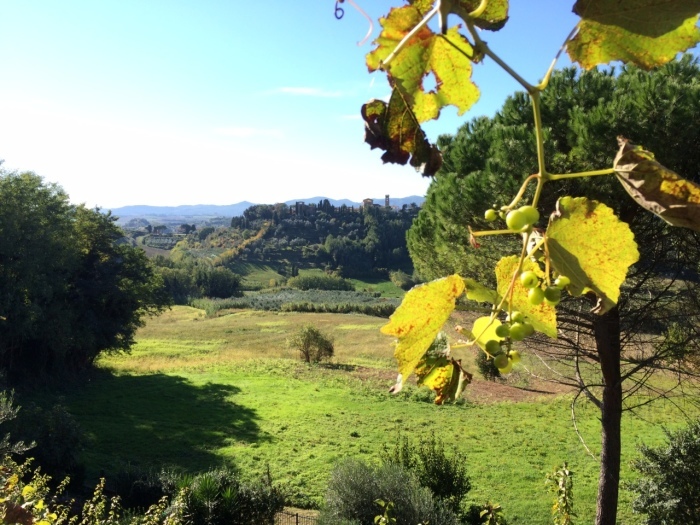 Near the house there is an important estate ‘Tenuta di Colle Alberti’, a farm located in the Chianti wine production: they grow, according to traditional Tuscan methods, olives and arable land with wheat, barley and sunflower and they produce DOCG wine. 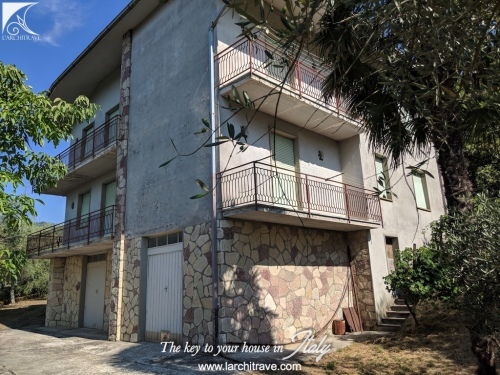 The village is located in the real Tuscany, just 10 km from Casciana Terme, a town in the province of Pisa very popular for its thermal waters of 37 ° and the wellness center. 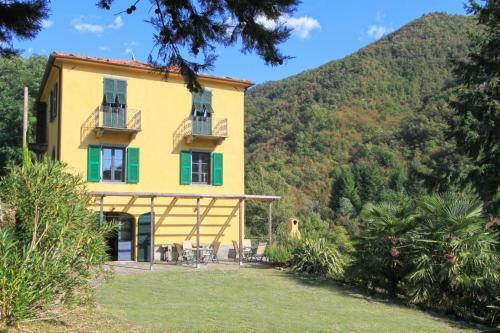 Location preferred by those who like to combine the beauty of nature and the typical Tuscan landscape with the discovery of places of art, including Pisa, Florence, Siena and Volterra. 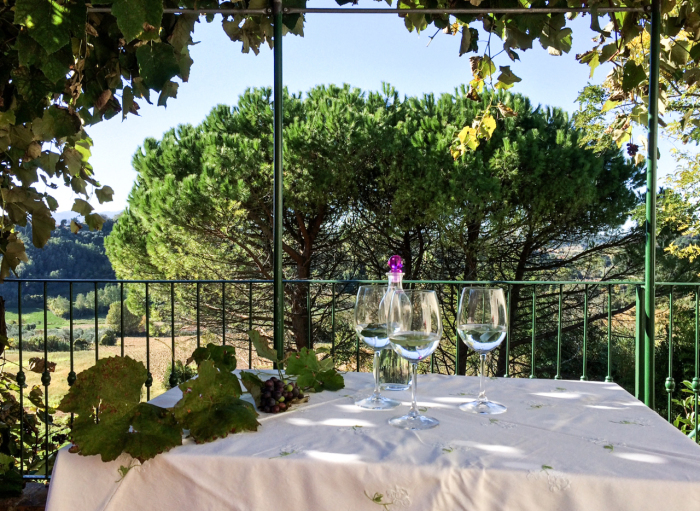 Visitors on their arrival to Casciana Terme found a warm welcome, the best restaurants, wine bars, wine cellars, sports facilities, parks and hiking trails and horseback riding. 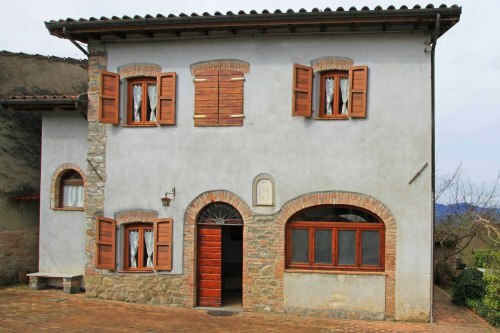 Florence 35 km, Pisa 47 km, Lucca 40 km, Siena 110 km, Coast 30 km.